Driverless pod cars are set to run on a dedicated double-decker roadway. Modern India begins and ends here in this Punjabi city. He has vowed to restore historical gurdwaras in India and Nepal. He designed some of the most imposing buildings in England and the subcontinent. When I learned that "Getting To Know Pre-Colonial Punjab Through Sikh-Period Frescoes", was being offered as an actual course at a Lahore university, I was ecstatic. 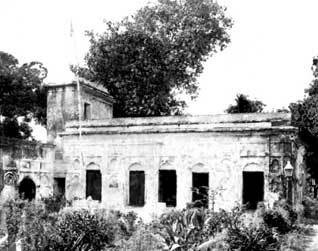 The royal family lived in the palaces of Faridkot Fort until Balbir Singh erected a new palace complex for himself outside the fort, and called it Raj Mahal.